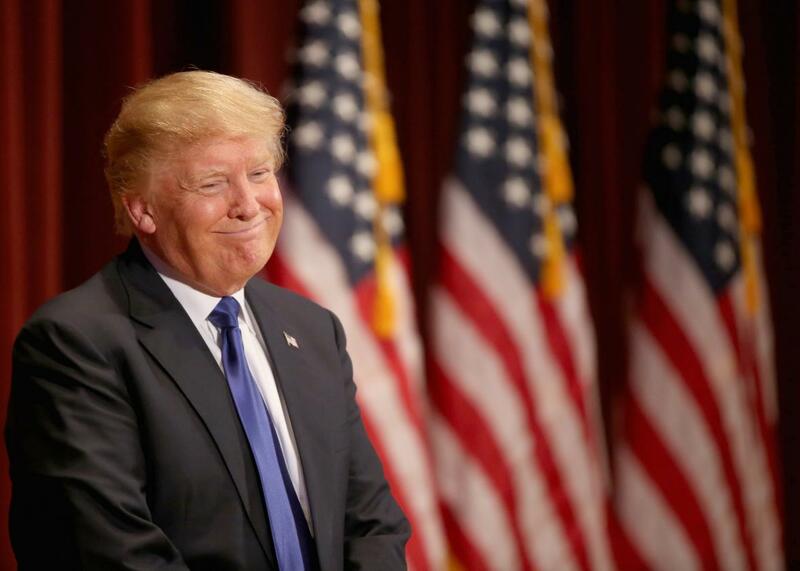 Trump leads in Iowa as Clinton, Sanders statistically tied. Republican presidential candidate Donald Trump smiles as he speaks to veterans at Drake University on January 28, 2016 in Des Moines, Iowa. After months of campaigns, voters will finally be able to speak up on Monday. What they’ll say is far more uncertain than what most were predicting just a few months ago. The final Des Moines Register/Bloomberg poll, which is considered the most reliable survey on Iowa caucus-goers, makes clear that the race is far from settled. On the Republican side, Donald Trump has managed to surge past Ted Cruz, receiving support from 28 percent of likely caucus-goers, compared to 23 percent for the senator from Texas. Marco Rubio comes in a distant third with 15 percent and Ben Carson, thought of as Trump’s biggest challenger not too long ago, trails with 10 percent. Trump has a lead with both those who say they will definitely participate in the caucus as well as those who say they’ll probably attend. Still, Cruz has reason for hope as the poll shows he has broader support and is more respected among members of the GOP. “The drill-down shows, if anything, stronger alignment with Cruz than Trump, except for the horse race,” said J. Ann Selzer, the pollster who led the survey. That is particularly important considering that 45 percent of Republican caucus-goers say they could be persuaded to change their minds. Despite the statistical tie though, there’s reason to believe Clinton holds an advantage considering support for the former secretary of State is “deeper and sturdier,” as Bloomberg puts it. More Democrats are excited about a possible Clinton candidacy and her supporters see no room for waffling, convinced she is the candidate to support. “Most of the ways you look at it, she’s stronger than the three-point race would suggest,” said Selzer. The key in both contests is turnout. Clinton is ahead among those who will definitely participate in the caucus, while Sanders is ahead among those who will probably caucus. For Republicans, a bigger participation of evangelical voters could mean a far tighter race. As a rule of thumb though, Trump and Sanders would both benefit from a larger-than-expected turnout on Monday night.